Russian, WBA World Light Heavyweight champion, DMITRY BIVOL (now 16-0 11KO’s) looked sharp in his fifth title defense against tough, union laborer, and Long Island’s own JOE SMITH JR. (24-3 20KO’s). Smith Jr. took the champion the full 12-rounds but the champion worked his way to a unanimous decision victory (118-110, 119-109 (x2)). 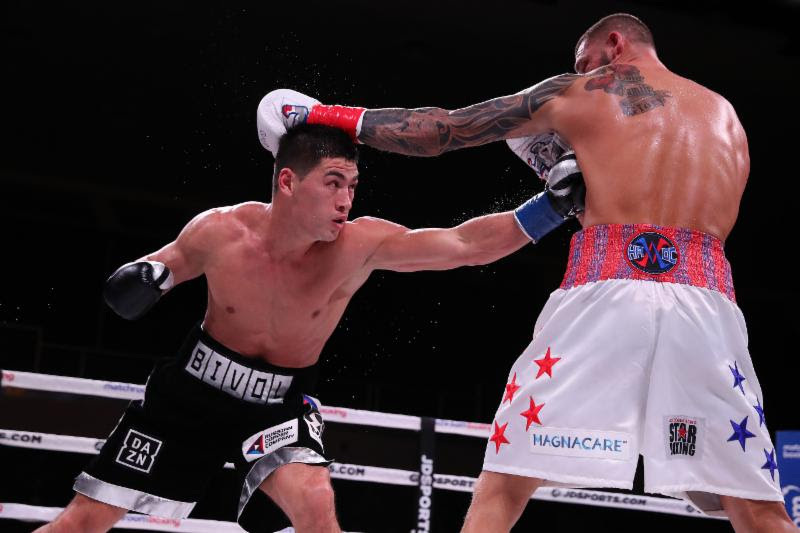 Bivol, known for his accuracy and multiple punch combos displayed tremendous poise and skill against the hard-punching Smith Jr at the Turning Stone Resort Casino. Bivol fought a measured fight and kept his distance from the devastating right hand and left hook of Smith Jr.. The bout was filled with drama, even though Bivol maintained a strong lead on the scorecards. 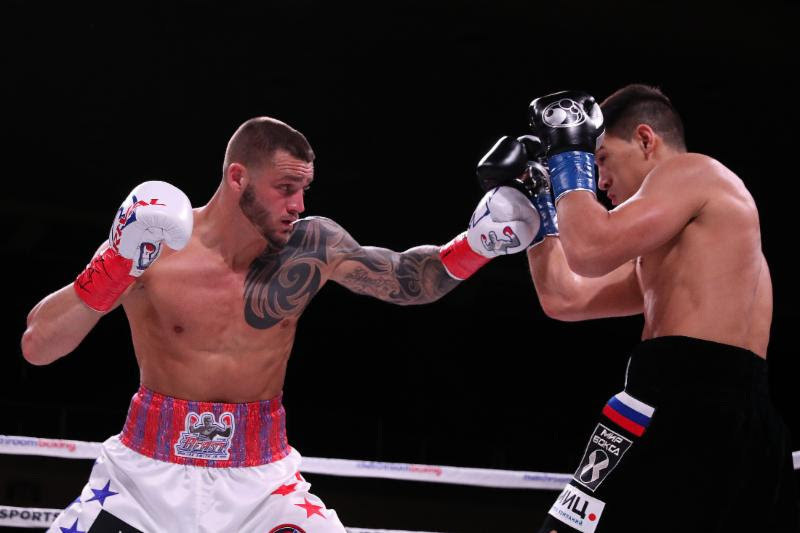 In the 7th round, Bivol landed a clean shot that wobbled Smith Jr., however Smith Jr. refused to fall as he displayed a granite chin multiple times over the 12-rounds. In the final seconds of the 10th round, Smith Jr. finally landed a flush overhand right. The punch buckled the knees of Bivol, creating a raucous roar from the Joe Smith Jr. crowd. The bell saved Bivol who gamely held the ropes and wobbled to his corner on unsteady legs. 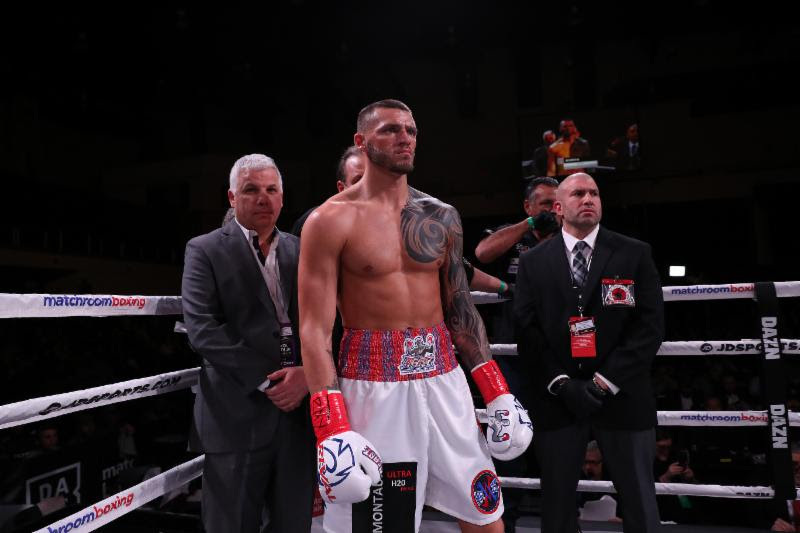 Smith Jr. who was seconds away from a dramatic world championship KO victory, came out looking for the knockout in the 11th round, hoping to replicate the blast in round 10 and erase the scorecards with one more punch. Bivol bravely and smartly weathered the storm, and even went on the attack in the final 20 seconds of round 12, of which Smith Jr. gritted out to remain on his feet. In a 6-round lightweight bout, amateur standout, and multiple time national champion, OTHA JONES III (now 1-0) took on GIORGI “GOGA” GELASHVILI (now 5-2 3KO’s). The two waged war from the opening bell, Jones showing great speed in both his hands and feet, while Gelashvili did not back down, settling in after the first two rounds. After a Jones knockdown in the 3rd round, Gelashvili began finding range, but it was too late as Otha Jones took home the victory in his pro-debut by unanimous decision (59-54, 58-55 (x2)). BIVOL SCORES TO THE BODY OF SMITH JR.